You would be forgiven for thinking that the Sonic series of video games would be dead and buried by now. Because these past few years fans of the long-running franchise have been getting one mediocre game after the other, with 2014’s Sonic Boom: Rise of Lyric being a particularly low point for the series. But perhaps this year Sega will make up for past misgivings and release a truly great Sonic game, reminding gamers of the time when Sonic the Hedgehog used to be synonymous with high-quality platforming, and above all, fun. This is because Sega will actually be releasing not one but two Sonic video games in 2017, with Sonic Mania (which sadly was recently delayed until summer) being one of the most eagerly awaited Nintendo Switch games right now. Aside from Sonic Mania, the 3D platformer Sonic Forces will also be hitting the shelves this year. 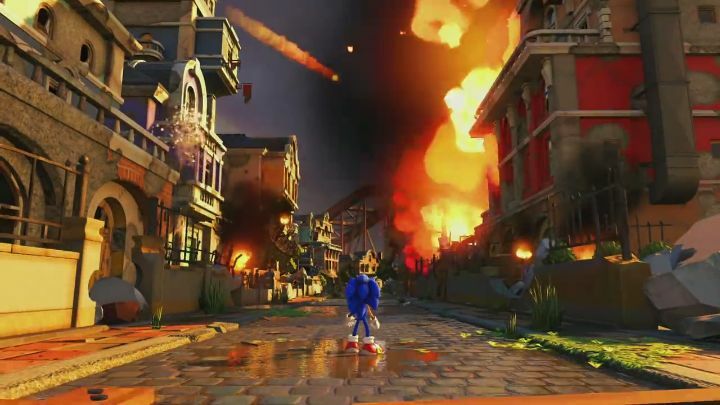 This will be another 3D game in the vein of earlier releases like 2011’s Sonic Generations, and judging by the gameplay trailer below, could offer the same high-speed action and thrills as earlier games in the series did. So this will certainly be a good opportunity for Sega to delight Sonic fans with two great games this year (Sonic Mania and Sonic Forces), hopefully reminding those fond of the series of everything that made the Sonic games great in the first place. Note: Sonic Forces will be released in fall 2017. Available on PS4, Xbox One, PC and Nintendo Switch.